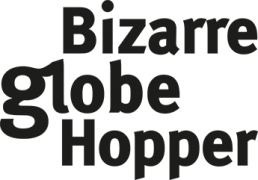 Welcome to the resource page of Bizarre Globe Hopper! We thought it would be useful to gather a resource page where you can come to for all your adventure travel needs. Everything here is what we have used or are currently using ourselves and believe are great. We’ve tested all the gear, services and tour providers listed here and they are some of the best out there. They will help also you to have your adventure of a lifetime. We are updating this page frequently, adding new information and helpful tips for you to plan your travels better. But if you have something specific to ask about the companies or gear presented here, you can always contact us and we’ll be happy to help you out! Buy Outdoor Gear at Amazon. No matter what outdoor gear you will need, you will likely find it on Amazon. It’s one of the best and most reliable places to buy the best outdoor gear online. They have a huge catalog and offer worldwide shipping. Please, consider using our affiliate link (above) when you shop on Amazon! It doesn’t cost you anything extra, but we get a small commission from Amazon from your purchases and it will help us to keep up this blog for you. Thank you very much! The Best and Most Flexible Booking Site There Is. We have used booking.com to make hotel bookings for as long as we can remember. It has always been a flawless experience. One feature which we especially love is the flexibility in making, modifying, and most of all, canceling the bookings. We highly recommend using booking.com for you, too! The Best Review Site on the Web. We’ve always used TripAdvisor to check out people’s honest reviews about any place we’re planning to go. It gives you the true picture. We’ve also written almost 100 reviews ourselves from places we’ve stayed in. TripAdvisor is a truly helpful site in planning your travels. Stay Like a Local Around the World. If you want a truly authentic experience about a destination, you should definitely book your stay via AirBnB. Be like a local, living in a local neighborhood. If you register through this link, you will even get $35 OFF from your first booking and stay! Expedia is another, great booking site and one of the most appreciated among travelers. If you want, you can conveniently book everything through them: flights, accommodations, and car rental. One place for everything sometimes makes things much easier. We usually compare hotel prices on several sites and then grab the best deal from one of the most reliable sites, like Booking.com or Expedia. A Great Housesitting Site With Plenty of Opportunities. 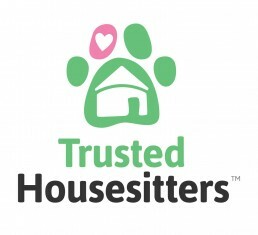 Trusted Housesitters is maybe the most popular of the housesitting sites available and they have a great platform! We have also had housesitting gigs through them and their service is very good. With this link, you can get 20% OFF your membership and unlock an awesome way to travel and live like a local! Housesitting is a great option to live like a local. HouseCarers.com is a bit smaller one of the available house sitting websites on the net, but there are still many great opportunities available and the location choices tend to be a bit more variable and more around the world than the other sites. Most of the times you can also take care of some adorable pets! What could be nicer than that? HouseCarers’ yearly membership fee is also more inexpensive than the larger site’s. AutoEurope is one of the most reliable rental car companies in the world and one of the oldest one, being established already 60 years ago. They frequently have good offers and the selection of cars is just great. Despite their name, they have worldwide availability. Our Choice for Flight Searching. When it comes to finding flights, we usually use Skyscanner. Their page is easy to use and you can search flights flexibly. On many occasions, we’ve also found the best prices. Booking procedure is straightforward and hassle-free. You can find good prices to anywhere in the world. A Collection of the Best Adventure Tours Out There. It’s hard to find good quality operators that can deliver outstanding experiences. This is why we are going to gather a tours section here to our blog, where you will find a great collection of some of the best adventure tours all around the world which we have personally tested and been happy with. We are currently building up this page and we will notify immediately as soon as we get it done! Hosting Company That Stands By You & Grows With You. We have our hosting on Inmotion Hosting. Their “Power” -plan for example gives you unlimited choices and when your site grows, you don’t run into disk space problems, etc. One of the best features is the 24/7 support available, by phone, email or chat. Especially the chat function is handy. When you have a problem you will always have help at hand, too. Their hosting is frequently ranked among the best for small businesses, but yet their prices are affordable. The Most Important Plugin is for SEO. One reason, among that our content is just great, for our high rankings in Google is a good SEO plugin. Your website just can’t be without one! We have used SEOPressor5 from the beginning and it’s been great. One of its advantages compared to Yoast for SEO, for example, is SEOPressor5’s ability to target three keywords per post when i.e.Yoast may target only one. An investment in SEOPressor5 will be highly worth it.  *Disclosure: The links on this page are “affiliate links”. This means that if you click on the link and purchase the item we will receive a small commission. There are absolutely no additional costs to you and regardless, we will only recommend products that we personally use and/or believe will add value to our readers!